In an ongoing commitment to raising the health and safety standards for dancers, Harlequin Floors is an exclusive sponsor of the ‘Dance and Lifelong Wellbeing’ conference which takes place on April 26, 27 and 28 at the Royal Academy of Dance and London College of Fashion. Combining interviews, presentations, panel discussions, demonstration classes and a live performance, the conference will bring together leading experts in dance, health, community arts and education to explore the ways in which dance can enhance lives. "Harlequin Floors is delighted to be a part of such an important event," said Mark Rasmussen, group marketing manager for Harlequin Floors. "Our sponsorship of the conference is further evidence of our commitment to delivering the very highest standards of health and safety for the world’s dance community." Harlequin will be present on all three days of the conference and delegates can collect literature and discuss their requirements or find out more about how dancing on the correct floor can make a difference to injury rates. Mark Rasmussen will be taking part in a panel discussion entitled ‘Who Cares? 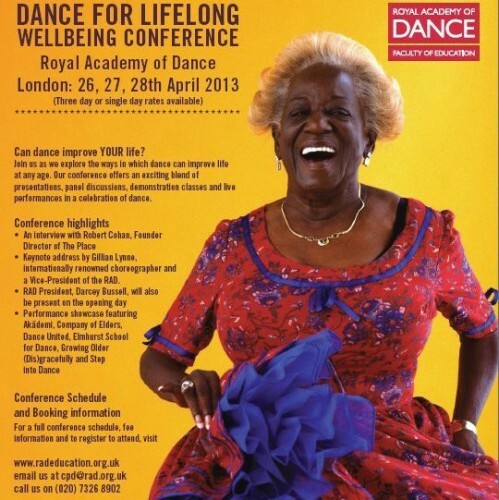 : the health and wellbeing of professional dancers’ at 1.45 on Saturday. Conference highlights include a unique opportunity to hear Robert Cohan, founder director of The Place, reflect on his role as teacher and mentor to a generation of British contemporary dancers. The Academy’s president, Darcey Bussell, will be present on the opening day and Gillian Lynne, the internationally renowned choreographer and a vice-president of the RAD, will give the keynote address followed by a reception. The conference will offer a range of perspectives on dance as a means of enhancing lifelong wellbeing, including dance and longevity, dance in the community, dance and disability, dance and fitness and the benefits of dance to physical and emotional health. Recognised as world leaders in advanced technology flooring for dance and performing arts, Harlequin works closely with academics researching the relationship between floor qualities and preventing injury to dancers. The company develops floors with characteristics that performers prefer due to their safety, feel and durability.